a Corporal in the Austro-Hungarian Army around 1900. He was from Bratislava, Slovakia. 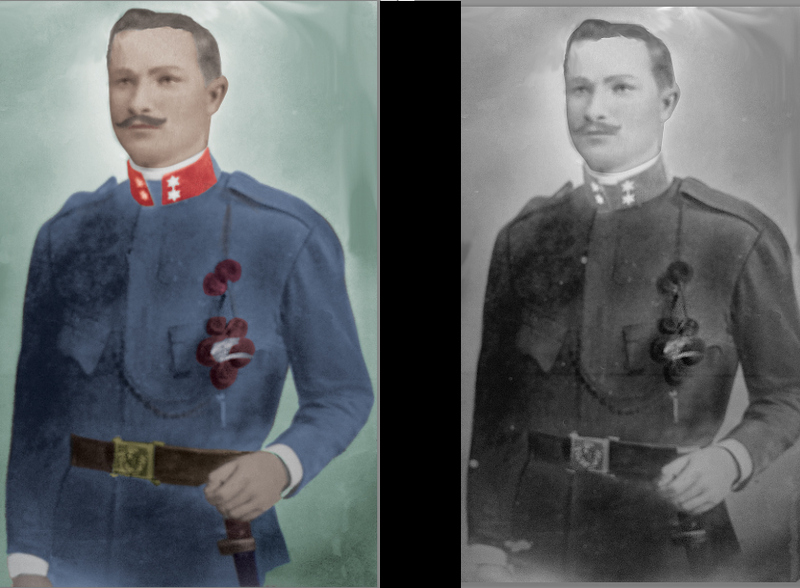 A colorized photo of my great-grandfather, Robert Benyak, from Bratislava, Slovakia, who was a Corporal in the Austro-Hungarian Army around 1900.